Cairo, 28 March 2019: – The African Export-Import Bank (Afreximbank) has announced the donation of $1.5 million to support the relief effort in aid of the victims of Tropical Cyclone Idai which devastated the southern African countries of Mozambique, Zimbabwe and Malawi recently. 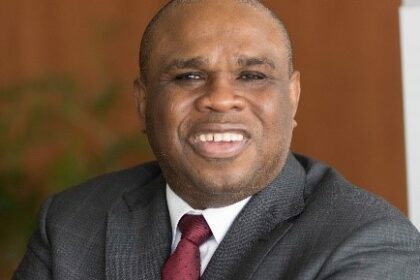 Afreximbank President Prof. Benedict Oramah said that the relief package was approved by the Bank’s Board of Directors during its meeting in Cairo on 23 March, adding that the funds will be distributed across the three countries on the basis of the scale of damage suffered by each country. He announced that the funds would be disbursed through the national relief agencies of the three countries as they were well-placed to deploy them to the most critical areas of need in each country. In addition to the official donation, Afreximbank staff members have launched an initiative to make voluntary contributions to support the relief effort. Such donations will be collected and forwarded to the affected countries. Afreximbank hoped that by acting, many other African banks and corporations, some of which are its clients, would be encouraged to also contribute to the relief effort, said the President. Professor Oramah also announced a decision by the Board of Directors for Afreximbank to send missions to the affected countries to assess the potential for deploying its programmes and facilities in support of countries coming out of crisis in the three countries. He explained that it was to ameliorate the consequences of events of this nature that Afreximbank launched its Food Emergency Contingent Trade Financing Facility, emphasising the urgent need to rapidly deploy the product across that continent.